I'm linking up with Runde's Room for her Favorite Book Linky Party. I'm short on time (currently I should be getting the kids ready so we can go to Thank You Thursday at Moe's in 10 minutes) so I'll make this quick. I LOVE so many children's books. It would be way too hard to make a list of my favorites. So, I thought I would share a book I love to read each year that you might not know. 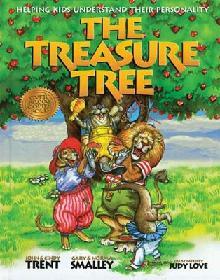 The Treasure Tree is a favorite "chapter book read aloud" each year. My kids fall in love with the characters in this book. It is written by two Christian authors and teaches the children about good qualities of others, in a non-Christian way (that didn't come out right) I meant a way appropriate for public school. If you haven't seen this book before you should defiinitely check it out. Your class will love it. Thanks for linking up! I'm definitely going to check out your recommendation - it sounds like something my own children would love.